With the rising of Bitcoin price to all new highs, more and more average people – it could be YOU – who are previously doesn’t really care about Bitcoin and its whereabouts are starting to get interested with Bitcoin, especially when they learned to know that Bitcoin price despite its today high price, can always break a new high price record. However, for most of the average people – this person could be you – I was on this group of people last time – their interest in Bitcoin stop only at getting to know Bitcoin and its miraculous journey. But when asked whether or not they want to start invest, 90% of them are saying no. Most of those who said no, said Bitcoin price today is super high and they simply don’t have enough capital (read: money) to start investing on it. What most people don’t know about Bitcoin is that you don’t have to buy 1 single coin to get started. 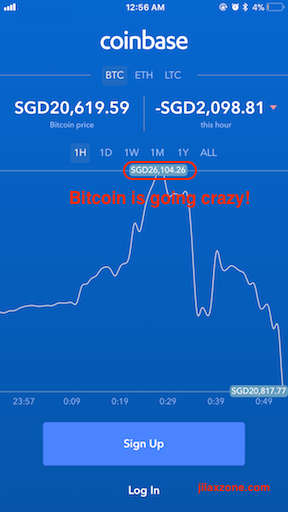 Bitcoin price at the time this article is written is priced at US$16,000-ish per coin. 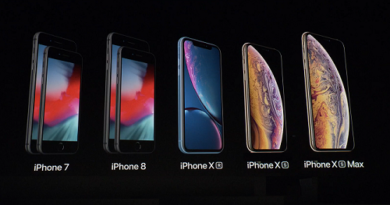 You don’t need to have US$16,000-ish to get started. Even if you do have US$16,000 on your bank account, you don’t need to spend all of them to get 1 single coin of Bitcoin. Anyone can start as little as US$10 or even less. You can buy just small fraction of Bitcoin coin (aka BTC). 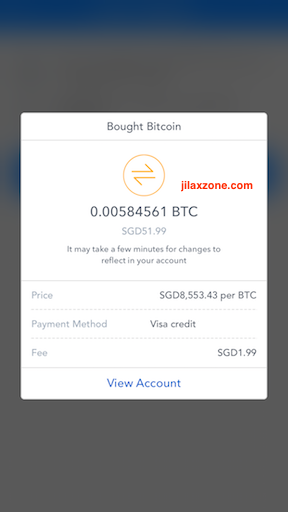 Like myself, last October 2017 when Bitcoin was at US$6,000/coin (~S$8,500) I bought Bitcoin with just US$37 (~S$52) and I got 0,005 BTC in return (see image above). 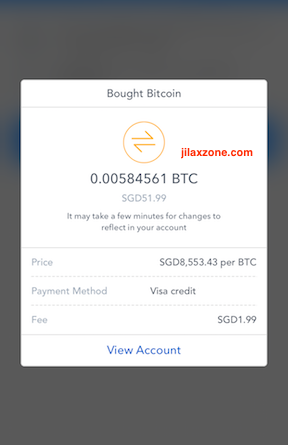 And recently, somewhere around last week when Bitcoin price hit US$14,700 (~S$20,000), I sold my 0,005 BTC which I bought for US$37 for US$84 and I got 100% more in return. Details of the story you can read my post here. So yeah, for starters or beginners, you can buy Bitcoin at only small fractions and spend any dimes that you are comfortable with, so if turns out couple of next months Bitcoin price is tumbled down, then you won’t lose so much. For the record, you can start at US$10 or even lower. 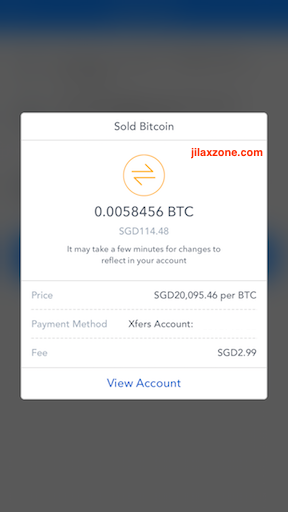 In case you are interested on buying your first Bitcoin and don’t know where to start, do read my article here where I detailed step by step from registering an account till the buying process, here. ← Is Litecoin the next big thing after Bitcoin? 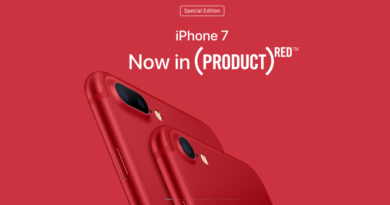 Red iPhone 7 is Released, Should You Buy? 7 Considerations to Help You Decide.